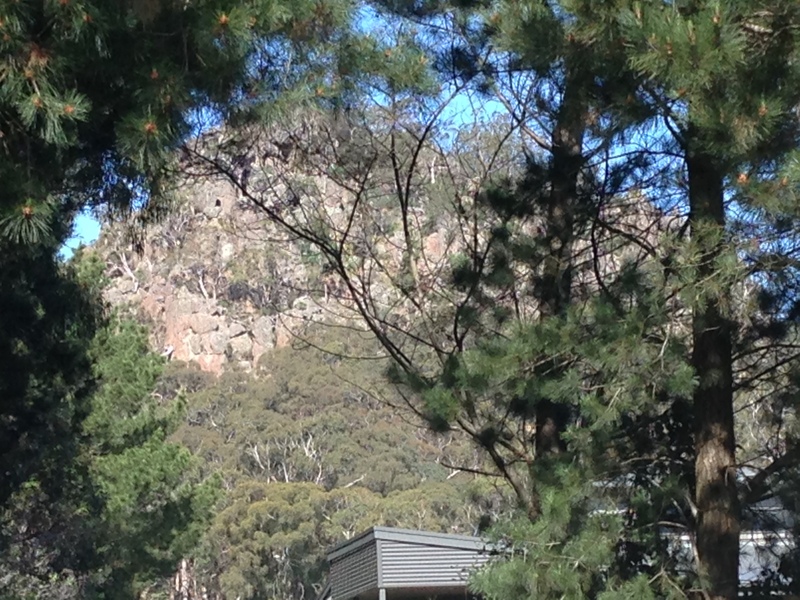 The Macedon Ranges are superb in Spring, located about 50 minutes outside of Melbourne CBD. 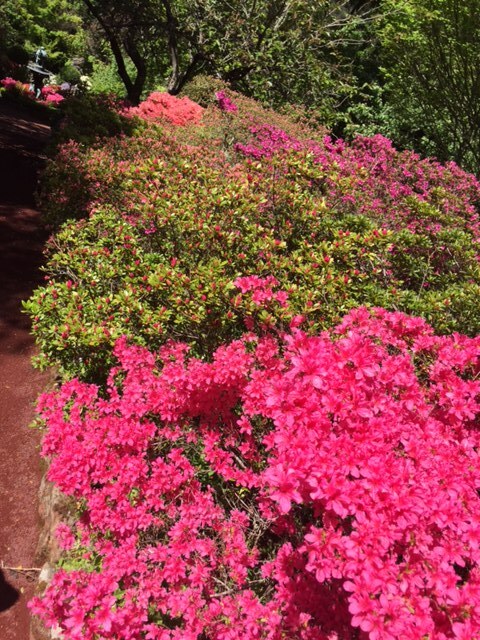 This is definitely worth a day trip —currently the flowers are out in bloom and everywhere you turn there are cascades of yellow roses and gorgeous hues of colours on all the trees and bushes. A must do is a visit to Cyril Stokes collection of 19th and 20th century decorative art, which is an extraordinary collection of antiques and is regarded by many as one of the largest private collections in the Southern Hemisphere acquired from all corners of the globe. Cyril and his late partner used to keep extending their home due to the ever-increasing new acquisitions. Top tip, if you are aiming on viewing the house and the highly manicured gardens —that have quite a few looks —from a rain forest to Asian fusion. The tours of the house are from Monday –Thursday (it is advisable to book for your small or large group (no children are allowed) @ $30 pp). 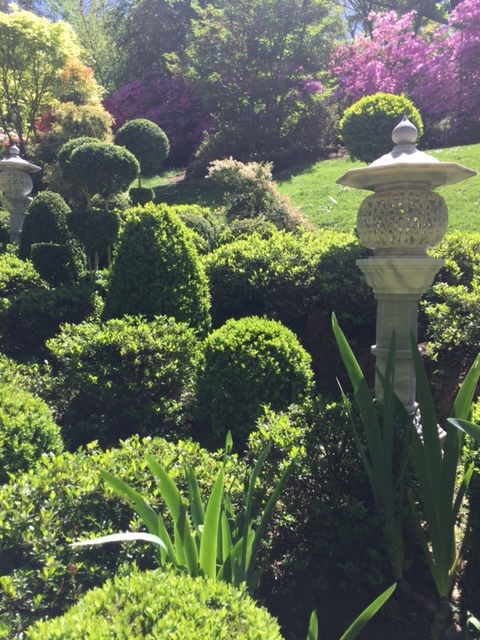 If you can’t obtain a booking then the gardens are open seven days a week and for $8 you can wonder around the grounds freely and even pack a picnic to enjoy there. This huge 21m memorial made me think of Rio’s Christ the Redeemer Statue (38m). 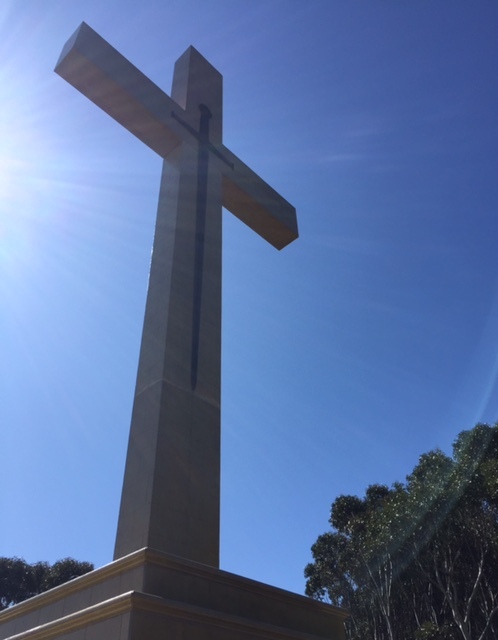 The Macedon Ranges Memorial Cross is to commemorate those that served in the world wars. 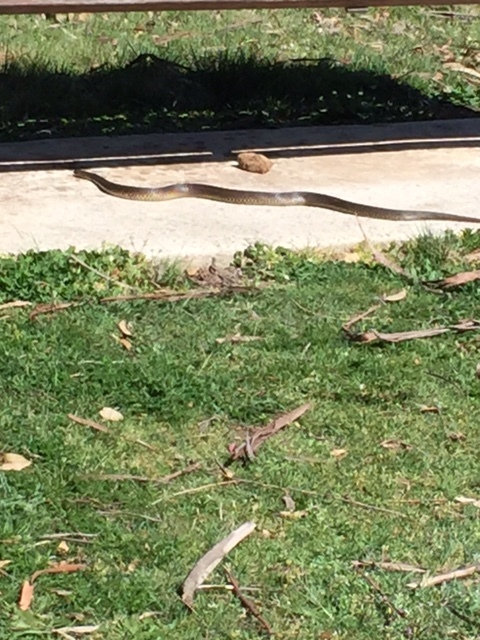 Do watch out for brown snakes, which are poisonous as they are on the move in spring and a little more visible — just keep your distance and they will move away. ( Do get an antivenom from the hospital within four hours of a snake bite). You may have seen the 1975 drama or read the book ‘Picnic at Hanging Rock’ of the mysterious group of girls that went missing during a picnic outing—well now you have to visit and of course take your mandatory picnic to enjoy there. Or for a fee you can use their BBQ’s you just need coins. The volcanic rock formation is situated in the middle of the State Park. Formerly known as Mt Diogenes (1836). For those that have a thirst for mystery and adventure the park run some night guided tours. Nowadays there is a race-course, cricket field, tennis, fishing and a café plus friendly rangers that will remind you to purchase your $10 ticket for your car to be allowed out of the park. The park is open from 9-5pm daily (except Christmas Day). To get to the top of the rock it requires medium fitness and the panaromic views that extend across the district and the Cobaw Ranges in the north are magnificent. Picnic at ‘Hanging Rock ‘ anyone? 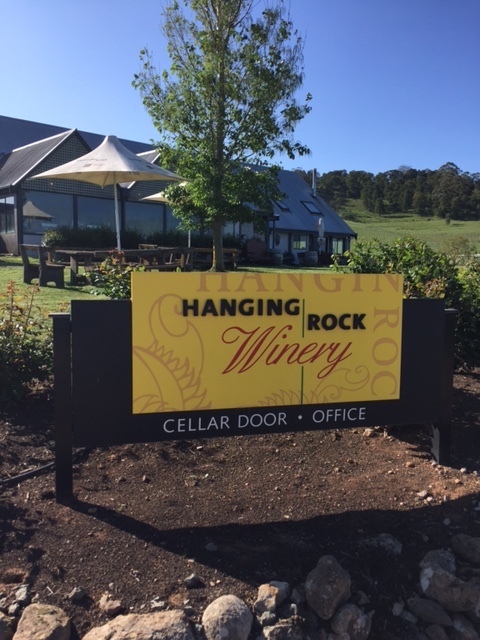 Hanging Rock Winery is worth a look and if you are a serious appreciator of quality wines the tasting offered is complimentary — There is an array of award winning wines with something to match even the most discerning palate. My two favourites are the Moscato Sparkling Rosé which is very quaffable and affordable ($15 per bottle) and the gluey dessert wine ($25per bottle) would be in place at any table (mine included). Whilst purchasing your wine do take a look in the fridges that house an array of top quality meat and sausages. Great photos! Mt Macedon really is beautiful this time of year. Fab looking blog.